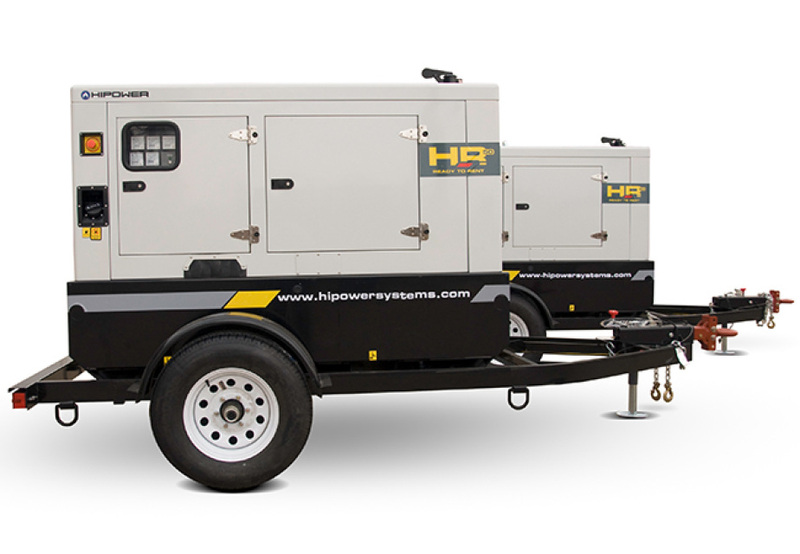 HIPOWER SYSTEMS originated an end-to-end design, engineering and manufacturing ecosystem that ensures we produce the most trouble-free, weather-resistant, user-friendly diesel engines in the market today. Our commitment to lasting quality is backed by industry-leading customer service, tightly managed delivery windows and internationally recognized suppliers. Ranging in prime power ratings from 25 kVA to 1152 kVA, many of our diesel gensets come pre-mounted on trailers for portability and all are built to run under load 24/7/365 when maintained according to recommendations. To reinforce its reputation for world-class quality and service, HIPOWER SYSTEMS also uses advanced processes and programs to help purchasers ensure their equipment is safe, properly conditioned to operate and as user-friendly as possible. These services include comprehensive training programs and maintenance services, including an option to have a dedicated support team that will fly on-site and troubleshoot and resolve problems. Dimensions Lv1 84.7" X 38.4" X 57.0"
Noise Lv1 57 dBA @ 23 ft. Noise Lv1 63 dBA @ 23 ft.
​Noise Lv1 62 dBA @ 23 ft.
Dimensions Lv1 110.6" X 45.3" X 92.8"
Noise Lv1 74 dBA @ 23 ft.
Dimensions Lv1 132.3" X 49.2" X 85.9"
Noise Lv1 75 dBA @ 23 ft.
Dimensions Lv1 161.4" X 63.0" X 102.4"
Dimensions Lv1 181.2" X 72.9" X 110.6"
​Noise Lv1 75 dBA @ 23 ft.
Dimensions Lv1 238.0" X 96.0" X 102.0"